This is one for the older generation. It wants to be a story about Tony and Eve, but the author's own views and opinions and voice overrides. People in this book speak in long speeches. 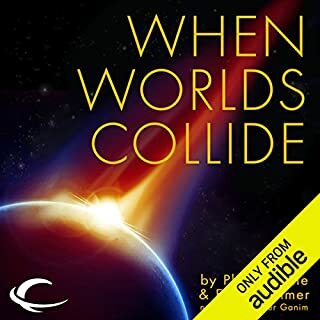 I wanted to hear this book so I could listen to "After Worlds Collide." it will be a struggle to finish it. 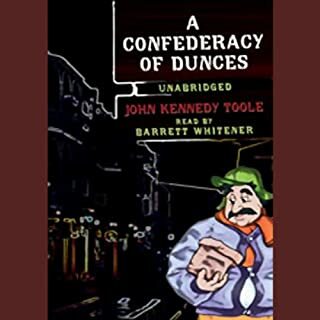 I suppose the narrator is OK, but my opinion is colored by the awful writing. In this book our 16-yr-old heroine is presented immediately with conflict and choices. 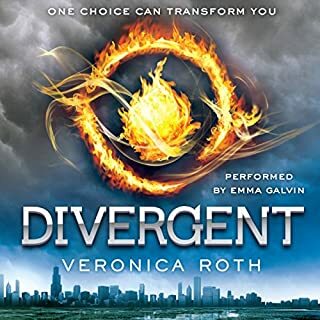 We are quickly drawn into her world and her strange life in this place of 'factions', groups of people with common tendencies and goals (that's a simplistic explanation) but Tris is 'Divergent' meaning she doesn't fit into one of the factions, but must choose one anyway. This story is about a person striving to be who she is, and not who society says she should be. For that, it is fantastic. I am currently in book 3 of the trilogy, and I am still enthralled by the writing, the descriptions, the emotions, and the story. I highly recommend this. And as a bonus, there is nothing in here that would embarrass your grandmother (no cursing or blasphemy). What about Anne Hathaway’s performance did you like? Anne's performance was the top. 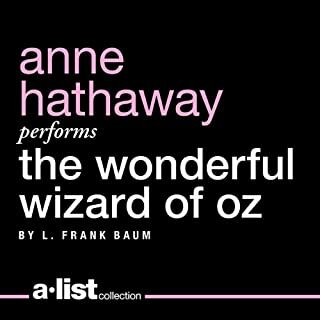 By creating different characterizations of the dozens of people in Oz (mice, stork, soldiers, witches, munchkins, wizard, and most importantly, Dorothy, Tinman, Scarecrow, and my favorite, the Lion), she made the story we know so well memorable again. Thank you for your talents, Anne. Just in time for Sherlock Holmes, the major motion picture starring Robert Downey, Jr. and Jude Law: the world’s greatest fictional detective and his famous sidekick Dr. Watson are on their first trip across the Atlantic as they solve crimes all over 19th-century America - from the bustling neighborhoods of New York, Boston, and D.C. to fog-shrouded San Francisco. 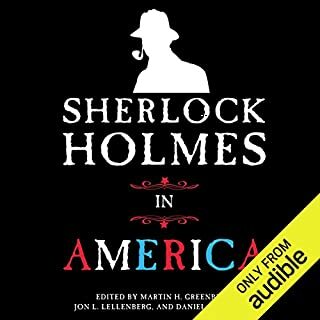 The world’s best-loved British sleuth faces some of the most cunning criminals America has to offer and meets America’s most famous figures. Short stories by different writers, so you get different styles and characters. These are SO MUCH FUN. Sherlock and Wyatt Earp. Sherlock and Teddy Roosevelt. Don't tell me that the purists would wince. Let us have some fun with our favorite consulting detective and his trusty side kick. Love these stories. The American pianist Jonathan Biss is known to audiences throughout the world for his artistry, musical intelligence, and deeply felt interpretations. 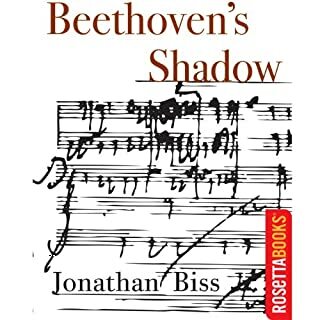 What is less known until now is that Jonathan Biss writes about music in a most compelling and engaging way. For anyone who has ever enjoyed a Beethoven concert or a Beethoven recording, or one of the many films about Beethoven, this audiobook is an inspiring listening experience. I enjoyed finding out about the musical experiences and insights that the author had in his young life. But really, with each mention of Beethoven Sonata number such-and-such, I really wished that a few measures were played for the listener to hear, recognize, and enjoy. I have not memorized the works by number. THis is an audio book, and it would be greatly enhanced with a few musical interludes. The best thing about this book is the way it can set your mind at ease. Have you been fretting and worrying over things like your salvation? Your behavior? Your attitude? Your ideal self vs. your real self? 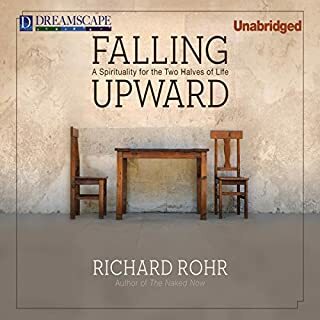 Let Father Rohr explain it all to you. It will be so much clearer. I'm so glad I let him in because things I had taken pains over, he eased up. Some of his quotes are memorable, such as from St. Augustine: "unity in essentials, freedom in non-essentials, charity in all things." It may be all I recall, but it is powerful. 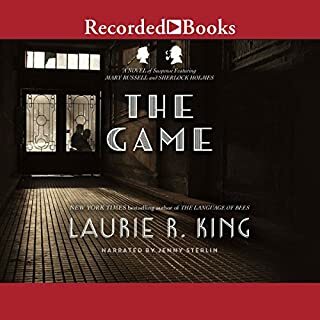 I read the book back in early 1980's, and now I have thoroughly enjoyed the audible version. What a wonderful job the narrator did of getting so many individual voices, sometimes in the same scene, and making them unique and enjoyable. The book captures many, maybe most, of the low-life New Orleans city living in the 1960's. I know because I lived there in the 1970's, and not much had changed. I have read a hundred reader reviews of this book, and the sum is this: if you like this sort of thing, then this is the sort of book you'll like. An anti-hero that has no redeeming qualities. A collection of characters all around him that are not much better. Even if you loathe the book, you'll come away with a feeling, "Well, I'm glad I'm not like THAT!" Just read it, it is one-of-a-kind. In America's Gulf Coast region, where grounded oil tankers are being broken down for parts, Nailer, a teenage boy, works the light crew, scavenging for copper wiring just to make quota - and hopefully live to see another day. 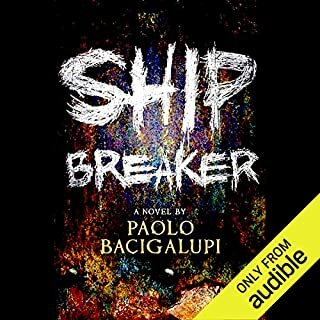 But when, by luck or chance, he discovers an exquisite clipper ship beached during a recent hurricane, Nailer faces the most important decision of his life: Strip the ship for all it's worth or rescue its lone survivor, a beautiful and wealthy girl who could lead him to a better life. The author starts the story off with interesting characters that I started connecting with almost immediately. This is a great accomplishment for the author who has to build an entire futuristic world and introduce terms and settings that are not immediately familiar. But it works, and the story just gets more and more interesting with twists and hopes. There is a lot of groundwork at the beginning that pays off in the end, so that the story ties together neatly. There is room for a sequel, but make no mistake, this is a complete story in itself. I saw it recommended on Audible, and took a chance, and I'm glad I did. The seventh Mary Russell novel finds her searching for the missing Kimball O'Hara, the famous "Kim" of the Rudyard Kipling novel. I enjoyed this book, and it builds pace and accelerates, so be prepared to plod through much of the first half of the book. But then, some unexpected twists and turns and some real danger for our duo, it becomes a very exciting mystery. The solution was excellent. Bravo, Laurie King. I went out and bought the audio book of Rudyard Kipling's KIM after this. Criminal lawyer and all-time number-one mystery author Erle Stanley Gardner wrote close to 150 novels that have sold 300 million copies worldwide. His most popular books starred the incomparable attorney-sleuth Perry Mason. In The Case of the Curious Bride, a woman claiming not to be a bride consults Mason about her "friend", whose husband, long thought to have died in a plane crash, turns up alive. 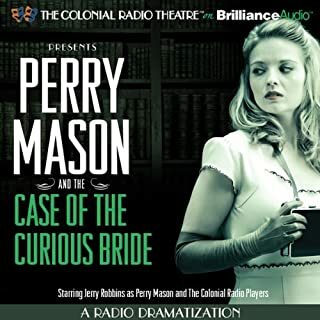 Where does Perry Mason and the Case of the Curious Bride rank among all the audiobooks you’ve listened to so far? This radio play is fun and confusing. The author introduces many characters in a short time, so for listening it gets a bit busy. My reaction to the book was to wonder how far Perry Mason will go when he can't be that certain, is told so many lies, has so many conflicting issues to deal with. It is a wonder he didn't just sit out the rest of his law career in jail.